With over 10 years of multidisciplinary working experience in the government and non-government sectors in addition to the research field, Ibrahim’s key passion is to cultivate government innovation with focus on technology as a key enabler. Currently, his work involves advising governments in the region on key trends such as open data, open government, smart government, social media and citizens participation. As an advisor for the UAE eGovernment throughout the past few years, he has successfully initiated or led many distinguished initiatives including the launch of the first open data portal in the region and the design the social media policy for UAE government. Also, he was the mastermind of the plan resulted in positioning the UAE in the 28th rank on the UN eGovernment Index 2012 and recognizing it as a Global Leader. In 2009, Mr. Elbadawi was awarded a scholarship from the Mohammed bin Rashid Al Maktoum Foundation for a Master’s degree in Public Administration (MPA) from Mohammed Bin Rashid School of Government where he graduated as the Top Student. 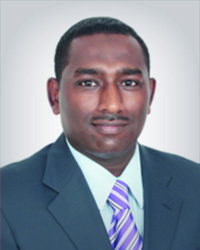 In addition to his professional career, Mr. Elbadawi is an active researcher and speaker. He participates frequently in different conferences and events regionally and globally. His most recent activity was delivering a lecture on "Smart Government" at The Arab Ministers of Public Service meeting in Rabat, Morocco October, 2013. Currently, he is working on his new book on social media for public sector. In 2013, Ibrahim has founded Exantium - a UAE-based government advisory firm focusing on government transformation and innovation through technology in the Arab region.